The leader of Yemen's Houthis urges his militia to fight on against Yemen's government. 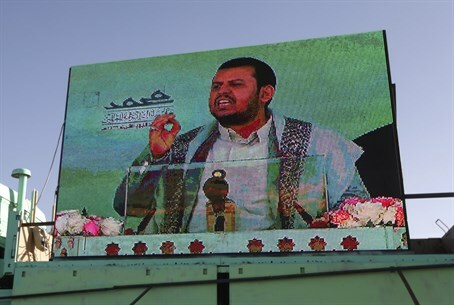 The leader of Yemen's Houthis urged his militia on Sunday to fight on against Yemen's Gulf Arab-backed government, dismissing its recapture of Aden last month as a 'limited' achievement made possible by Ramadan, Reuters reported. In a speech broadcast live on television, Abdel-Malek al-Houthi accused his foes of resorting to alliances with both the Islamic State (ISIS) and Israel in their assault on the southern port city. Al-Houthi said Aden's fall occurred only because some Houthis and allied fighters had returned home to be with their families at the end of the Muslim holy month of Ramadan. "Continue and move in your resistance. You are in a strong position. And you are on the way to win," he said, according to Reuters. "We are in a battle, a great battle, in which we must use all our efforts." The government retook much of Aden in July, supported by airstrikes waged since late March by Saudi Arabia and its regional allies who are trying to end Houthi control over much of the country and return President Abd-Rabbu Mansour Hadi from exile. "The enemy, when it threw all its weight and carried out thousands of raids, succeeded in limited achievements. They took advantage of an opportunity," Al-Houthi was quoted as having said in reference to Ramadan. "A political solution is still possible, internally," he said of the four-month-old war, without elaborating. A Saudi Arabian-led alliance began launching airstrikes on the Iranian-backed Houthi rebels on March 26. It is believed Iran is planning to use the Houthis to take over Yemen and seize the key strategic port of Aden, which controls the entrance to the Red Sea and ultimately to the Israeli resort city of Eilat.